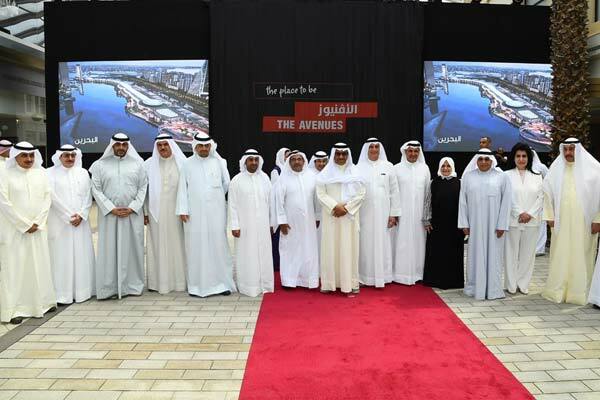 The fourth phase of Kuwait's The Avenues mall was opened on Thursday, at a function attended and patronised by His Highness the Prime Minister Sheikh Jaber Al Mubarak Al Hamad Al Sabah. Sheikh Jaber was welcomed at the ceremony venue by Mohammad Abdulaziz Al Shayea, board chairman of Al Mabani Company, owner of the complex, a Kuna report said. The Prime Minister toured the facility's various sections. In a press statement, Sheikh Jaber hailed the new developments in The Avenues, adding that Kuwait is proud of this project. He also stressed on the importance of such projects, executed by the private sector in attracting foreign investments and boosting the country's development plan.